Look! It’s the cover to issue #6! Apologies for not posting in ages! I’ve been really busy with getting issue #6 together and just not had a chance! Sorry!!!! 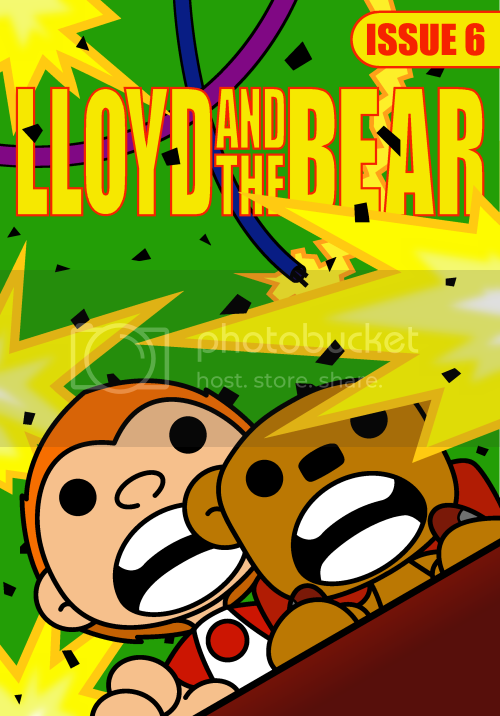 Anyways, with only a month to go before issue #6 of Lloyd and the Bear comes out here a shot of the new cover! As you can see, it’s not looking to good for the guys in this issue. I’ll be posting back in a day or two with a panel from the issue itself (with more panels to come as the book comes together). So yeah, when I say more soon I really do mean it! Bear hugs!